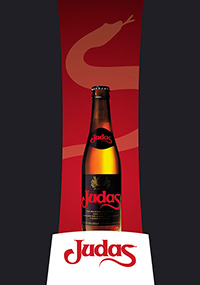 A unique and strong beer, which began being produced in 1986 by the Alken Maes brewery in Belgium. 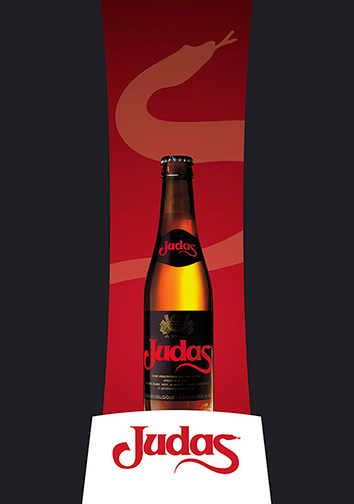 Its production requires hard water, gradual boiling temperature and malt extraction, and refermentation in the bottle. The outcome is a very strong taste, based on bohemian hop, which was acknowledged by the awarding of a silver medal at the "Monde Sélection" in 1989. 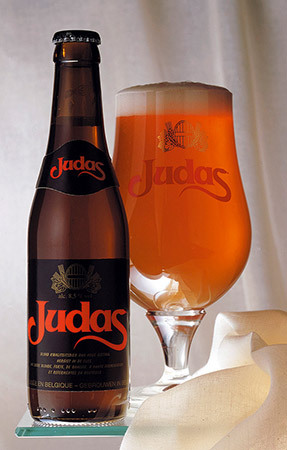 With 8.5% alcohol content, Judas is a beer which can “betray” those who drink a little too much. 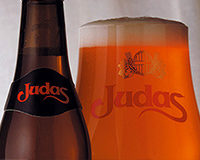 Find more information about Judas.